My cousins in Pakistan who are studying to be doctors often boast of their capacity to treat human beings’ greatest impediments in life—physical ailments. Such confidence comes from their commitment to contemporary medicine, which (unfortunately) is often mistakenly thought to be omnipotent for the rather remarkable strides it makes concerning patient health. Many debilitating diseases and disorders bearing grim prognoses are now losing their potent grip thanks to the advent of modern medical science and technology. However, with this contemporary ease of suffering and prolongation of life, an individual can lose perspective on what these ailments meant for people living a hundred or two hundred years ago. 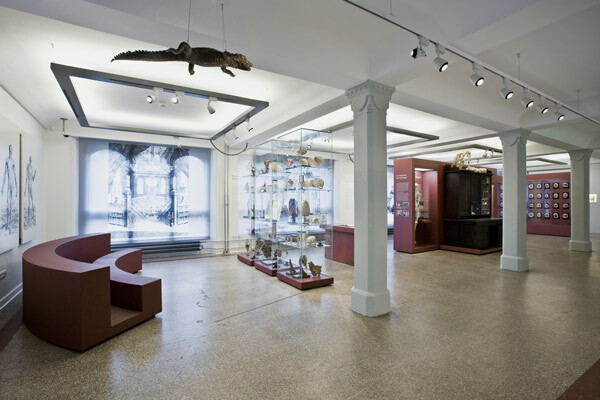 On a recent visit to the Berliner Medizinhistorisches Museum der Charité (a requirement of the 2nd year core course, The History and Philosophy of Science: Early Modern Science), I had one such moment of historical reflection when, for the first time, I actually thanked our ancestors and all those who contributed to the field of medicine. The museum displays a variety of tools, instruments and equipment routinely used in the early 1800s, a time when surgery was just becoming a popular way of treating people with various ailments. Looking on in amazement, I pondered on the extremely large and (certainly) painful cutting instruments used for surgery. With no or very little anesthesia, patients were crudely sliced open, as such methods were seen as a proper means of treatment. The museum displays Professor Rudolf Virchow’s personal collection of medical instruments. The physician was an anatomist who operated and practiced medicine in late 1800s. In keeping with the desire to accurately display the state of 19th century medicine, the museum also exhibited the particular ailments that called for physicians during that time. Illustrations and models of tumors, disorders in newborn babies and various skin diseases adorned the walls and display cases. After the exhibition, I realized just how far medicine has come from the days with little sedation and crude instrumentation, to an era of powerfully complex drugs and microscopically precise surgical incisions performed by exquisite machinery. As I visited the museum with my seminar class, we discussed how the exhibition informed our understanding of the perilous journey medicine has taken. The museum visit left us pondering how future generations will characterize our attempts to treat diseases. During a heated class discussion, some students remained skeptical about the museum’s success in offering anything special to an audience outside the field of medicine. But the consensus of the group was that the museum’s efforts to showcase these items should be judged as a highly commendable initiative to evoke the success of medicinal practice overall. Seeing the tumors of patients on display, one can understand what this disease meant to someone in 18th century: they did not have proper treatment, and, even worse, no decent way to hide the disease from the rest of the world. The museum offers many such examples that led us to recognize how modern science has eased and improved the life of man.